The horse is by nature a being of power, beauty, and elegance — all thanks to his pride, his endurance and, above all, his unbelievably precise sense of balance. To maintain this free, spontaneous pride and this precise balance under saddle — maybe even to further it — is that not one of the obligations of riding? In his book Dancing With Horses (translated by Kristina McCormack), Klaus Ferdinand Hempfling seeks to teach his readers how to ride with collection on a loose rein. To achieve this, one must be conscious of how subtle movements of the rider's body communicate messages to the horse. 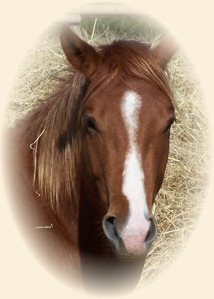 We can only expect the degree of sensitivity from our horse that we show him. We can only expect the degree of concentration from him that we ourselves demonstrate. The work with horses begins here, with ourselves. There are a number of very subtle signs and signals by which our equine partner lets us know if we are asking too much, or too little. We must focus not just our eyes but our whole attention on these very subtle signals from our horses.
. Certain muscles must be well and powerfully developed in order to make truly harmonious riding possible. We need to be in good condition, have the ability to move our body parts independently and have muscles fit for use. 90 percent of correct, horse–oriented riding–in takes place on the ground. This preparatory ground work is done both with and without a lunge line. But, even when the lunge line is used, it is kept loose. the way lunging is commonly done can only be harmful. In conjunction with his emphasis on balance, Hempfling points out how a tight lunge line disrupts the balance of the horse. Every horse is unique, every horseman is unique. Set recipes constrict you but guiding principles bring understanding and provide a foundation on which each person can build, using the methods at hand. 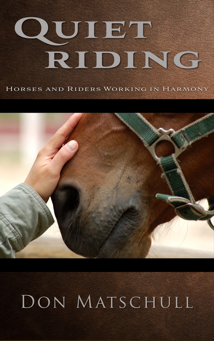 Dancing with Horses presents its information in romantic, often poetic, language. Klaus Ferdinand Hempfling seeks to inspire as well as teach for, in the end, each horseman must develop his own techniques through sensitivity, experience, and intuition.